According to Farva himself, Kevin Heffernan, a sequel to Super Troopers is happening. Now a few years back, there were plans for a prequel, in which all the characters would play their dads. Sounds interesting, but we're not sure if that's still the route they're going. 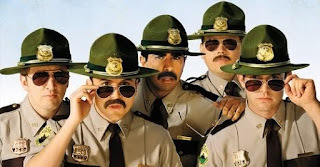 Nevertheless, we gladly welcome a Super Troopers 2! 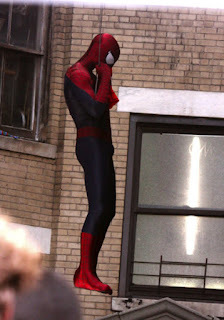 A new photo of Spider-Man on the set of The Amazing Spider-Man 2 has leaked out (via MTV). Maybe it's just me, but I am not digging the new suit. Just too Raimi-ish. Did CRY_WOLF Have Sequel Potential? Call me crazy, but I absolutely loved Cry_Wolf! It was the perfect mix of Scream meets April Fool's Day. In fact, I believe it could have, and should have, been the new Scream. Even the new film Smiley followed the same concept (I won't go in to detail to avoid any potential spoilers). A running theme in the movie was that one of the characters was too smart for their own good, but clearly smarter than the rest of the characters. They were playing chess while everyone else was playing checkers. And ironically, the movie itself ended up being too smart for audiences. A new image from the Carrie remake has been released. Disregard the poor quality, it's an obvious scan. Nevertheless, this just keeps looking better and better. I honestly can't wait for this remake! What's All American Massacre, you ask? Well, it was a film that was to be directed by William Hooper and starred Bill Moseley as Chop-Top, once again in a sequel/prequel to The Texas Chainsaw Massacre 2. It's a project that was started well over a decade ago, and it seems that is now, finally, nearing completion. Incarcerated for over 24 years in solitary confinement at a Texas State Psychiatric Hospital. One of the most notorious serial killers of the past century is interviewed by a Tabloid News crew. Recalling fond memories of happier times in his younger years we Flash Back to the 70's and get a 'TASTE' of life during one fateful evening for a group of four youths who encounter his hospitality as we join him for an over-the-top killing spree. The title role in the new Annie remake has been cast! And no, it's not Willow Smith, who had originally been handed the role a couple years ago when her dad Will took on the producing role. But without further ado, your new Annie is Quvenzhane Wallis, who was nominated for an Oscar last night for her work in Beasts of the Southern Wild. Good luck, youngster! 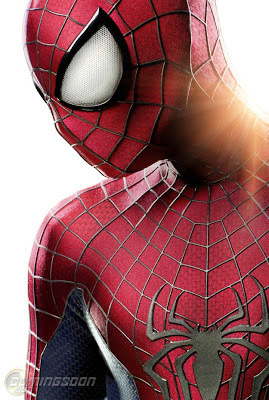 The new Spider-Man suit for The Amazing Spider-Man 2 has been revealed via ComingSoon. Honestly, I'm not a big fan of this new look. I personally loved the look in the first Amazing film. The two most noticeable differences are the eyes and the texture of the material. These new eyes are very reminiscent of comic book Spidey, which is cool, I guess. Maybe I just need to wait and see what it looks like in action (hopefully we get a teaser soon). It just reminds me of the Sam Raimi look -- which was okay, I just loved Marc Webb's look so much better! James McAvoy To Star In 'The Crow' Remake? 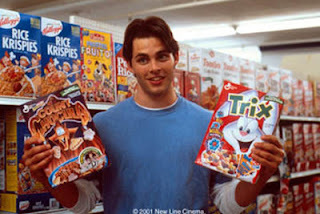 We all know that the original Crow film starring the late, great Brandon Lee is a cult classic and it shouldn't come as no surprise that people want to try and create the same magic for a new generation. This remake has been in the works for quite a while with people coming and then going away. F. Javier Gutierrez is set to direct the remake (for now) and while the lead role has not been filled in, there is word that James McAvoy (X-Men: First Class, Atonement) is "circling" the film. What does that mean? Is he interested in the film? Is he putting it on his list of films he would love to be in? Whatever the case may be, it will be interesting to see what happens in the coming days, weeks, months, years or however long it takes to see what finally comes to fruition and we see things finally set in stone. What do you think? Would Mr. McAvoy be a good fit? Who would you like to see in the role? Wait, there is going to be a Death Wish remake? Anyway, Joe Carnahan WAS the director of The Death Wish remake but word now has it that Universal made it quite difficult for the The A-Team director. 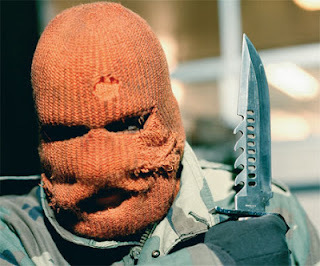 Bruce Willis was cast as the family man turned vigilante made famous by Charles Bronson in the original Death Wish films but Carnahan wanted someone else to play the role. Who did he want? He may have wanted Liam Neeson for the role as his recent track record suggests since he has worked with the actor on The A-Team and The Grey so while Bruce Willis is no stranger to being a box office champion, he probably just had a different vision of the role with no disrespect to Willis. What do you think? Who would you want to play the lead role in the Death Wish remake? Mickey Mouse And Roger Rabbit To Star In 'The Stooge' Animated Remake? 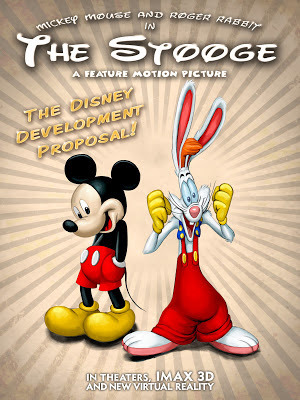 Not sure if this should be taken with a grain of salt or what, but apparently there is an animated remake of The Stooge in the works over at Disney -- which will star Mickey Mouse and Roger Rabbit as the leads. 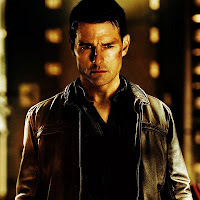 It had been speculated that a sequel to Jack Reacher would only be possible if the film did well overseas -- and it did. And apparently Paramount and Skydance are already working out some sequel details. Finally, the first two images from Todd Phillips' The Hangover Part III have been released. Good to see Stu got that Mike Tyson face tattoo removed -- also good to see Alan with some hair. And the second image is obviously of Ken Jeong's Mr. Chow. The Hangover Part III hits theaters May 24, 2013. There were two promotional posters for The Hunger Games: Catching Fire released today. The first was an exclusive from Drew over at HitFix, and the second premiered via Facebook. Both posters are just Victory Tour one sheets of the winners of the 74th Hunger Games, Katniss Everdeen (Jennifer Lawrence) and Peeta Mellark (Josh Hutcherson). Fox has been quietly developing a TV show based (loosely?) on the Washington Irving short story "The Legend of Sleepy Hollow" titled Sleepy Hollow -- which from the sound of the synopsis is absolutely nothing like the source material or the 1999 Tim Burton film of the same name. Welcome Nicole Beharie to Sleepy Hollow! Shame breakout Nicole Beharie has been tapped to play the female lead in the drama pilot adaptation of The Legend of Sleepy Hollow, The Hollywood Reporter has learned. So I guess she's the modern day Katrina Van Tassel. James Marsden, who's most remembered from the X-Men movies (but I remember him from Sugar & Spice), has joined the cast of Anchorman: The Legend Continues and is set to play Ron Burgundy's (Will Ferrell) nemesis. And I bet you thought Michael Bay hated Megan Fox, right? He probably did, up until him and Fox reconciled their differences. According to The Hollywood Reporter, Fox was floored by the storyboards that Bay and director Jonathan Liebesman showed her during one of their meetings. One thing led to another, and now Fox is April O'Neil 2.0 in the Teenage Mutant Ninja Turtles reboot. How do you feel about this casting choice? A new poster for the Evil Dead remake has been released. It's not much different from the others, only this one is in a nice blood red tint -- which really gives off a creepy vibe that I'm sure the film will deliver. 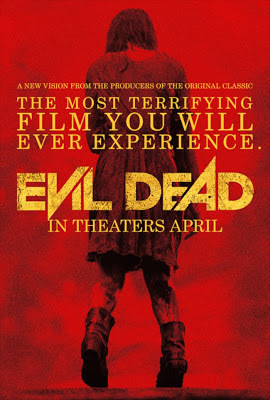 Evil Dead hits theaters April 5, 2013. 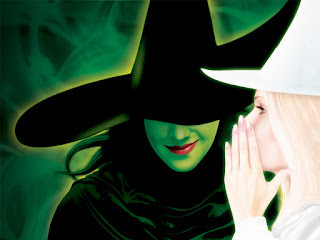 The Broadway musical Wicked, a spinoff take on The Wicked Witch of the West from The Wizard of Oz, is getting a big screen adaptation -- sooner rather than later, according to Universal's Adam Fogelson. THR: With Les Mis a hit, why haven't you greenlighted Wicked? Fogelson: Wicked has been an enormous win for this company [Universal is majority owner of the Broadway musical]. The way it works, we should be in agreement together on when the right time to do this is. But I will tell you I believe that we are collectively moving toward Wicked coming to the screen sooner rather than later. My only concern is whether or not this will fit into the canon of The Wizard of Oz and Oz: The Great and Powerful -- especially since we're getting a "definitive" origin story of the witch in the new Sam Raimi prequel. Tobias S. Buckell is a Caribbean-born New York Times Bestselling author. His work has been translated into 16 different languages. He has published some 50 short stories in various magazines and anthologies, and has been nominated for the Hugo, Nebula, Prometheus, and Campbell awards. Despite poor reviews, Identity Thief's strong box office numbers may have warranted a sequel. The studio believes they have created great characters with Jason Bateman and Melissa McCarthy, so I guess it's a waiting game now. THR: What about an Identity Thief sequel? You've got a few projects in development with Melissa McCarthy. 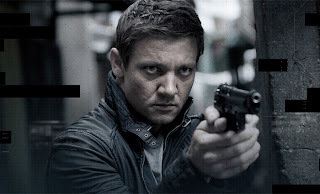 Even though last year's The Bourne Legacy wasn't necessarily a box office smash, it definitely warrants a sequel, so says Universal chairman Adam Fogelson. A sequel to Snow White and The Huntsman is in active development over at Universal, but chairman Adam Fogelson says director Rupert Sanders is not set to return -- with the story obviously centering around Kristen Stewart's Snow White. The legendary story of Bruce Lee's fight (which happened to be his last before he started making movies) with Kung Fu master Wong Jack Man is in the works. Movies with Bruce Lee in the center of attention is nothing new as the most famous is possibly Dragon: The Bruce Lee Story starring a very capable Jason Scott Lee (no relation). The film will also put focus on Bruce and master Wong teaming up to fight triads which should be an interesting addition to the film. The film is currently titled Birth of the Dragon and is being written by Oscar nominees Christopher Wilkinson and Stephen Rivele with no word on who is going to direct the film or who will play Bruce Lee and Wong Jack Man. Would you want to see another Bruce Lee "origin" film? Are you excited nonetheless? With the breakout success of Universal's Mama, there's no doubt that sequel discussions have begun. Why not? Isn't that what studios want, a successful franchise? Of course. Mama producer David Kosse believes there is potential for a franchise. 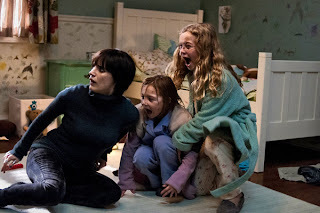 With Mama having grossed $89.2m [$68.2m from the US] with 43 territory openings still to come, including UK, Germany, France, Australia, Russia, Brazil, Japan and Italy, Kosse admits the prospects of a sequel are good. “We think there’s potential for a Mama franchise,” he added. “We’d like to do another one. But those conversations are in the early stages. “Mama is the first of this type of model that we’ve had enormous success with so there are more opportunities for this kind of film.” The thing about Mama is that I'm not entirely convinced that it would benefit from a sequel -- it's a pretty good standalone film. 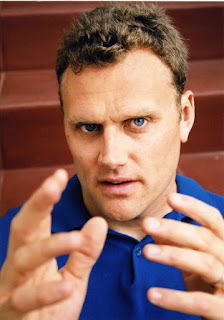 The new Zombieland TV show has found its Tallahassee in Kirk Ward. Ward is, of course, replacing Woody Harrelson as the nothing-to-lose zombie slayer. 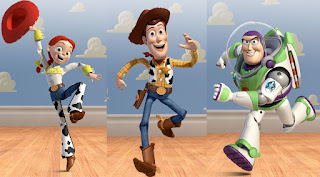 A tweet sent out 2 days ago lit up the Twittisphere, claiming that Toy Story 4 was gearing up for a 2015 release with Tom Hanks, Tim Allen and Joan Cusack confirmed to return. Sounds too good to be true, right? Right. Drew over at HitFix did some digging and debunked this rumor almost immediately. Star Trek fans will rejoice (or boo) over a new, cool design for the DVD packages of the classic sci-fi series; Star Trek: The Next Generation (or simply TNG). Each DVD has the face of one of the main cast members on the cover with an image of the star ship Enterprise embedded in the face. The DVDs will be released on April 16 and you can get a head start by ordering the first two seasons exclusively at Amazon.com starting March 12. The DVDs will contain the same material (which includes the bonus material) so it's a shame that it couldn't at least have some new material like additional behind the scenes footage or new photos or even new commentary but I guess this is being sold as more of a collector's item. If you are a Star Trek fan, would you buy these new DVDs? 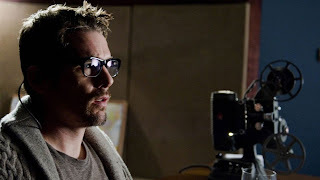 Sinister director/co-writer Scott Derrickson recently talked with Bloody Disgusting about the current status of the rumored Sinister 2. People are talking about it. They’re interested, but there’s nothing definite yet. People like it, it did well. So there’s interest and people are having conversations. But that’s it for right now. So will happen? Maybe. Will it happen this year? Don't count on it. It has been rumored that Mila Kunis may be interested in playing the film version of Anastasia in a Fifty Shades of Grey movie. And at a press junket for Oz: The Great and Powerful, Mario Lopez asked Kunis if she was, in fact, interested in the project. Her response: "I'm not disinterested." So basically, if the studio throws a lot of money her way, then count her in -- maybe. Who knows nowadays. Perhaps the studio is better off casting an unknown to play the lead. But as now, Kunis is "not disinterested" -- whatever that means in this case. I wouldn't put any role past her. After all, she did do the horrible American Psycho 2: All American Girl. Here's the international trailer for G.I. Joe: Retaliation. This sequel already looks to be better than the original, in my opinion -- although Joseph Gordon-Levitt's presence will be missed, not so much Marlon Wayans'. 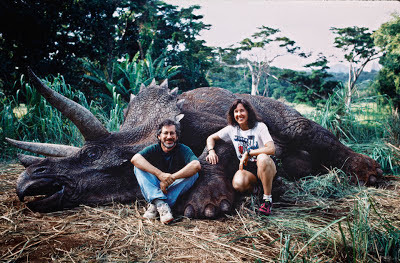 Frank Marshall confirmed via Twitter that Kathleen Kennedy will not return to produce Jurassic Park 4 -- Kennedy had produced the previous 3 Jurassic Park films. Instead, Ms. Kennedy will be focusing solely on Star Wars Episode VII. @jackdelamare No, Ms. Kennedy has moved onto Star Wars and will not be producing JP4. She's traded raptors for TIE fighters. A couple months ago there was a real shot of Clerks 3 coming together -- even creator Kevin Smith was tweeting madly about it. 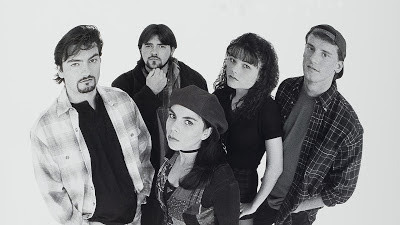 Now, however, there's a slightly different Clerks 3 tune being sang. In fact, it's almost weird. In this Future of TV special, Smith comments on the third Clerks film and talks about what the film might end up being. If you're only interested in the Clerks 3 stuff, then fast forward to about 11:50. A brand new trailer for Mortal Kombat Legacy season 2 has just been released and it is freaking awesome to say the least. You don't have to be a fan of Mortal Kombat to see this wicked gem. Give the trailer a look below! You may remember Cary-Hiroyuki Tagawa as Shang Tsung from the original film adaptation of Mortal Kombat that was released on the big screen back in 1995. While there are those who would still like to see a third Mortal Kombat film released on the big screen, this is a very worthy addition to the Mortal Kombat franchise. The first clip from Oz: The Great and Powerful debuted on Jimmy Kimmel. The epic, romantic tale of "Romeo and Juliet" continues to grace the big screen and audiences don't complain. While living our mundane lives consumed by office work and family obligations, why wouldn't we want to immerse ourselves in the forbidden love affair between young Romeo and Juliet? It's romance. It's a tragedy. 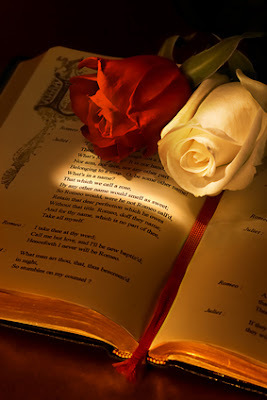 It's timeless Shakespeare. It's a perennial love story. And we dig it time and time again. 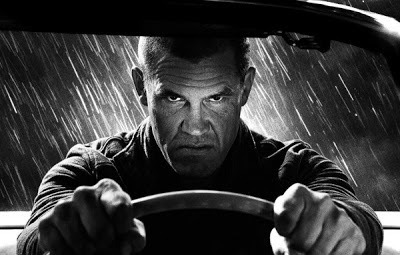 Sin City: A Dame to Kill For director Robert Rodriguez tweeted these pictures earlier, our first look at Josh Brolin in the highly anticipated sequel. Now whether the finished photo is an actual still or it is a test is yet to be determined -- but these sure do wet the whistle! Felicity Jones has joined the ever-growing cast of The Amazing Spider-Man 2, where it is rumored that she may be playing the Black Cat. If some of you are skeptical about the new J.J. Abrams helmed Star Wars trilogy, then hopefully this will help ease you just a bit. 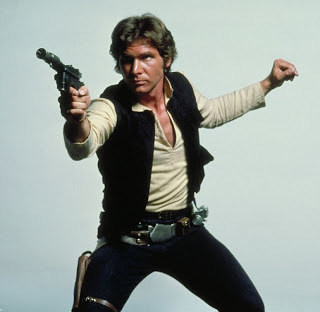 Harrison Ford has officially signed on to Star Wars Episode VII -- of course, he is reprising his role as the rebel Han Solo. Let's hope that Mark Hamill and Carrie Fisher get on board as well. New poster for the 20th Century Fox produced Korean film Running Man is out. While it's nothing extraordinary or special, it does convey the whole action/comedy vibe the film is supposed to have with Shin Ha-Kyun's face looking up at us like with a "What?" type of emotion. From the trailer, it looks like it'll be a pretty entertaining film. The film is scheduled to be released in Korea April 2013 with no word on an American release. 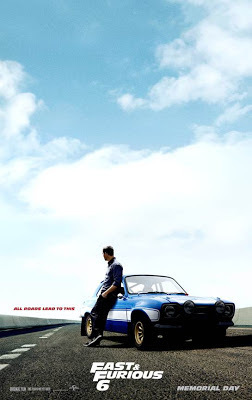 In the newest character poster for Fast & Furious 6, we get a look at Paul Walker leaning up against his blue muscle car. 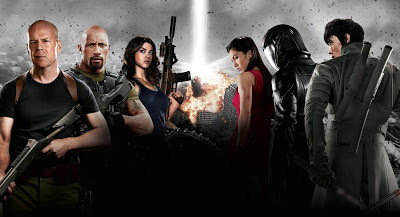 As the poster suggests, Fast & Furious 6 hits theaters this Memorial Day.